"Great food! Great service. Chicken Ala BUCCO rocks! !! Everyone should go! Go with all my friends everyone loves the food!! " "Pizza is soooooo tasty!!!! Perfectly made every time. Try the BBQ or buffalo chicken. My faves." "I was very impressed by the level of customer service I received today with the owner Artie. After that experience alone ... I will be returning to Bucco's. My favorite is the vodka sauce and fresh mozzarella specialty slice. The regular pizza and mussels marinara are also absolutely delicious!" "Amazing food, great service. Definitely coming back." "The food is wonderful,the service is fast and friendly. We always leave content and happy. 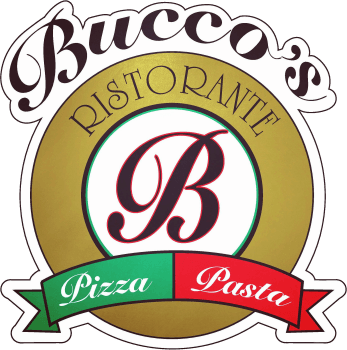 Highly recommend Bucco's"
"We ordered for the first time today, the food was great, the delivery was fast and the food arrived hot." "Expansive menu with great options. One of the better slices in Bergen county"
"Went to Bucco's last night - returned after several months and much to my surprise it was very good"